CEDAR CITY – An Enoch man was sentenced in 5th District Court for attempted murder earlier this week in connection with the shooting of a motorcyclist in Cedar City in 2013. James Alan Reynolds, 57, was sentenced Tuesday to serve three years to life in prison in connection with the 2013 incident that put then 21-year-old Santa Clara resident Austin Sharpe in the hospital after he was shot twice in the back. Reynolds pleaded guilty – but mentally ill – to first-degree felony attempted murder in June, according to court documents. As part of a plea deal, a felony charge for leaving the scene of an accident causing bodily injury and two misdemeanor charges for reckless driving and discharging a firearm from a vehicle were dropped. Prior to being taken to prison, Reynolds will spend time at the Utah State Hospital until he is considered “medically stabilized,” according to court documents. On Aug. 15, 2013, Sharpe had been riding his motorcycle on Main Street in Cedar City when he was approached from behind by Reynolds, who was also riding a motorcycle and running from Cedar City Police officers who had attempted to stop him for a traffic violation. When he drew close to Sharpe, Reynolds shot at Sharpe multiple times with a .22-caliber rifle. “The motorcyclist (Sharpe) veered right off the roadway before ultimately crashing into a parked car in the La Fiesta Parking lot,” a City Cedar Police officer wrote in a probable cause statement supporting Reynolds’ arrest. Sharpe was taken to Valley View Medical Center in Cedar City and then flown by medical helicopter to Dixie Regional Medical Center in St. George in critical condition. As for Reynolds, he ultimately ran into the side of a passing car while attempting to pass through an intersection against a red light. The crash left Reynolds’ motorcycle inoperable, and he was captured. Two people in the car Reynolds crashed into sustained minor injuries at the time. 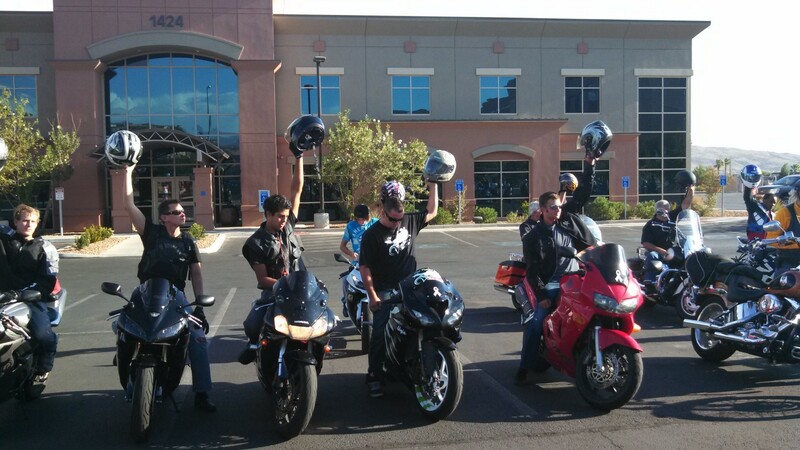 While Sharpe was recovering from the shooting at DRMC, a group of over 40 riders from four different motorcycle clubs came together and held a tribute ride for their fellow biker. The ride started on St. George Boulevard in St. George and ended in a vacant parking lot right across the street from the room Sharpe was staying in at DRMC . The riders formed two long lines in the parking lot and, in a moment of silence, all raised their helmets to Sharpe and then revved their engines as loudly as they could. “Anyone on two wheels is our brother,” said Cody Painter, then-president of the St. George Street Bikes club.